This new coverall takes Zutano color to the next level by combining print, stripe and solid in a comfy, stylish all-in-one outfit. This one features periwinkle candy stripe long sleeves, a Le Chien print body and legs, a mandarin collar and an adorable front pocket. The pool contrast stitching is a special added detail. Long sleeves and legs make this a great choice for all seasons. 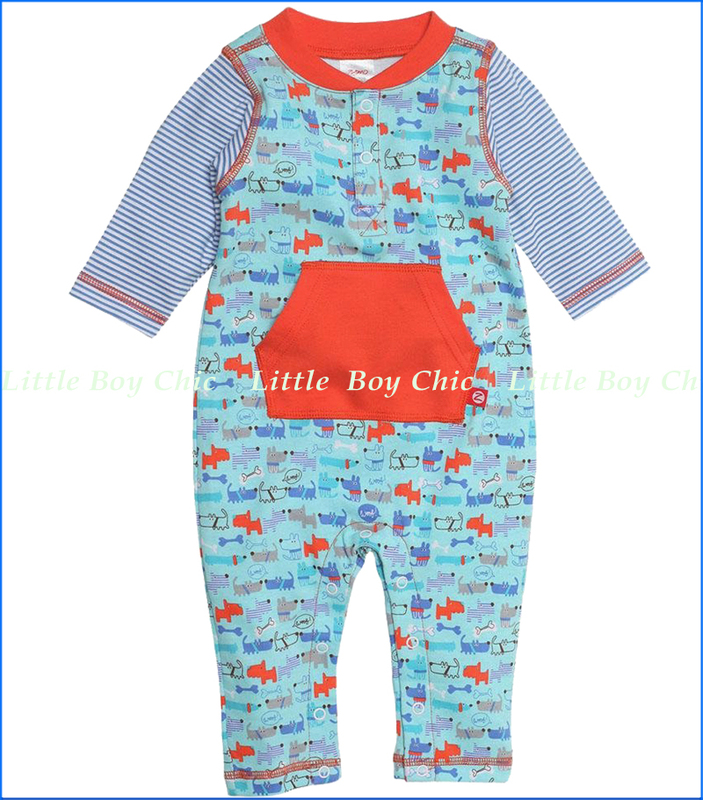 Two cute buttons allow for easy dressing and a full bottom snap closure makes diaper changes a cinch.